To make great southern dishes, you just have to use cast iron. 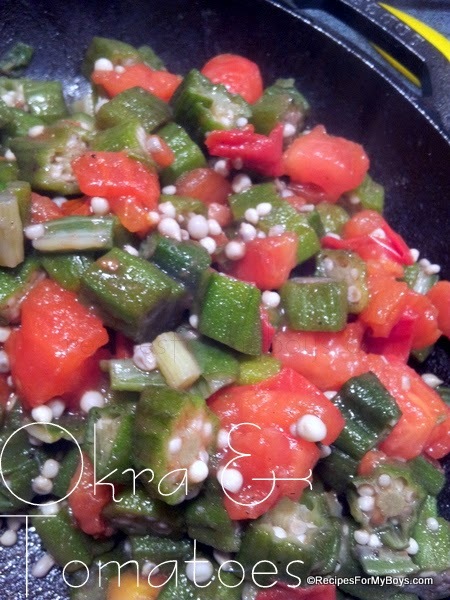 Add olive oil and okra to CIS. 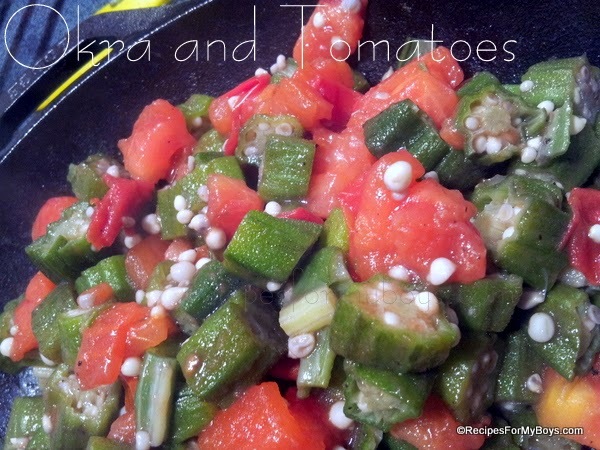 I love my Lodge Chef Skillet! 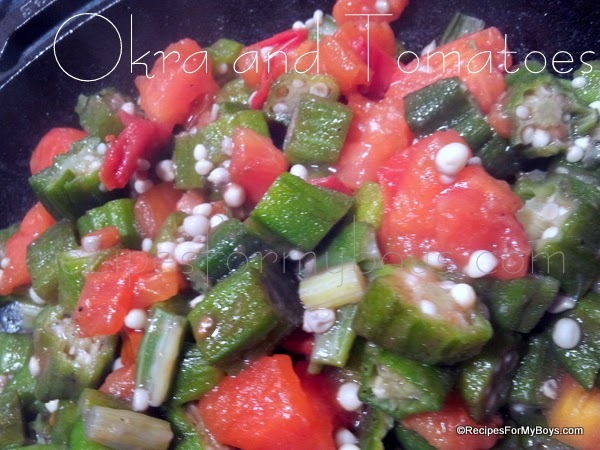 Yes, I used frozen okra. It was partially thawed. 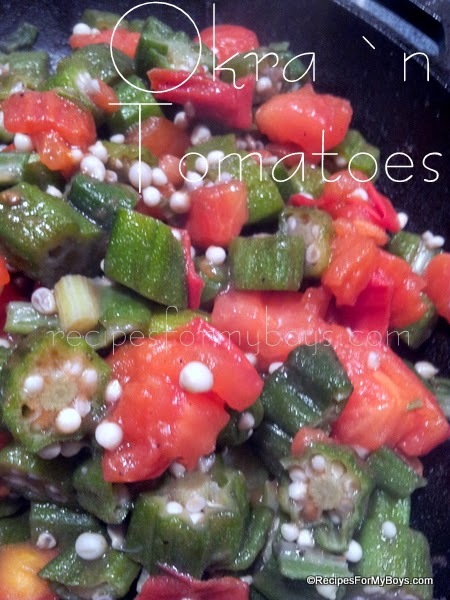 Add chopped tomatoes after 10 minutes. Season with freshly ground sea salt and black pepper. Hubby and I LOVE this! 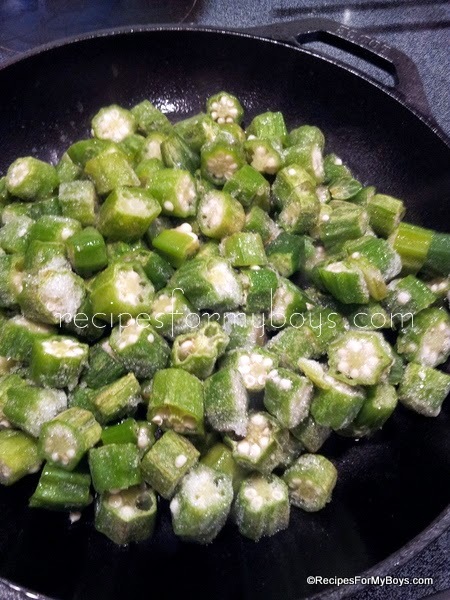 4 cups fresh or frozen okra, sliced 1"
Heat olive oil in cast iron, or non-stick, skillet to medium. 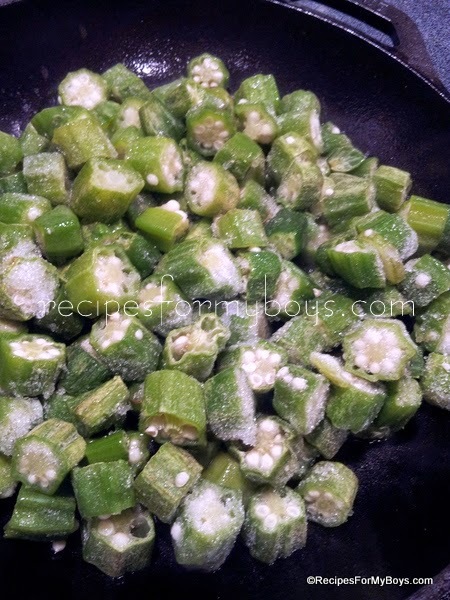 Add sliced okra and cook, stirring frequently, 10 minutes. Add a little oil if needed. 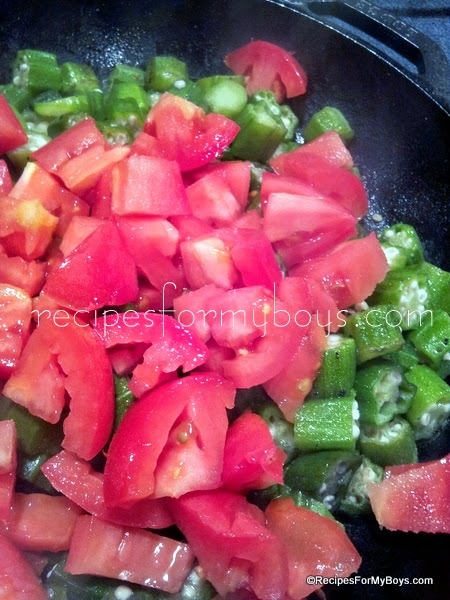 Add chopped tomatoes, cook 5 minutes, breaking larger pieces apart. Season with freshly ground sea salt and pepper. Enjoy!